As part of my Final Major Project at university, I produced a new creative marketing campaign for Pretty Little Thing. 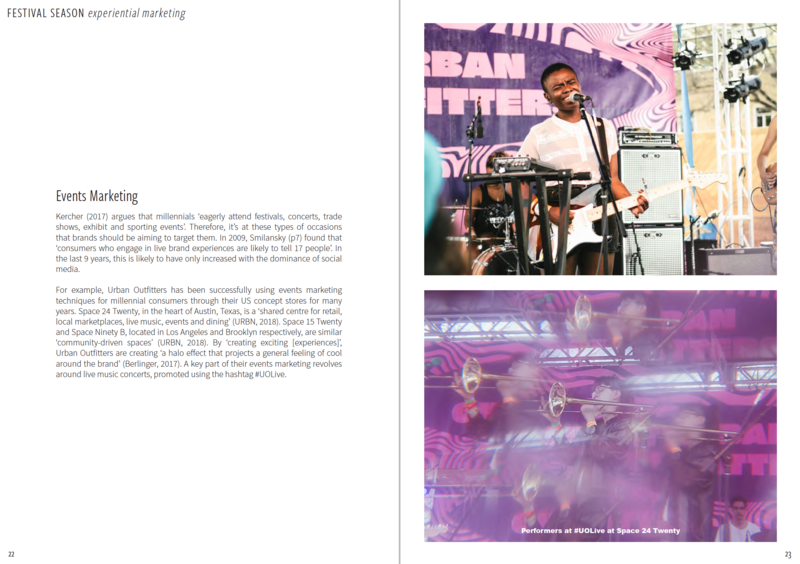 My campaign idea was supported by research undertaken in the Individual Project Report and draws on elements of experiential marketing at music festivals. 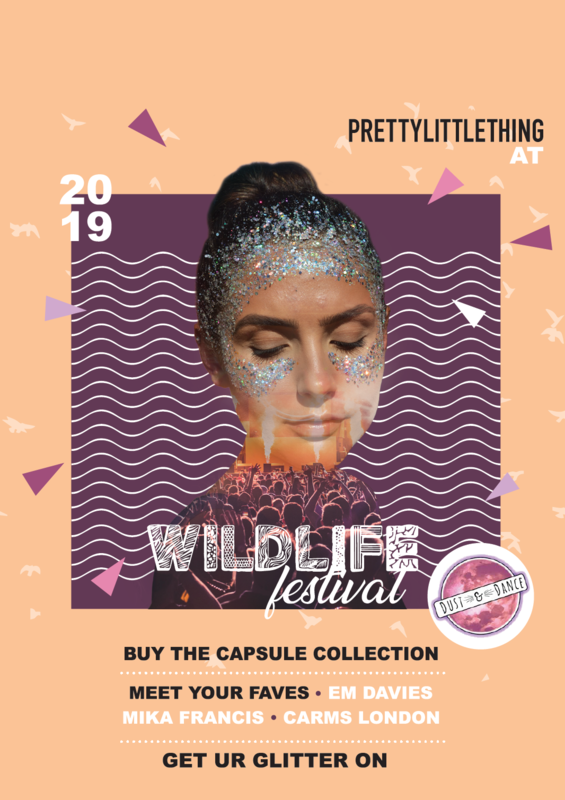 The core of my idea was a collaboration between Pretty Little Thing (PLT), the glitter brand Dust & Dance and Wildlife Festival. The campaign would include a capsule collection of festival clothing and accessories, demonstrated by the lookbook. 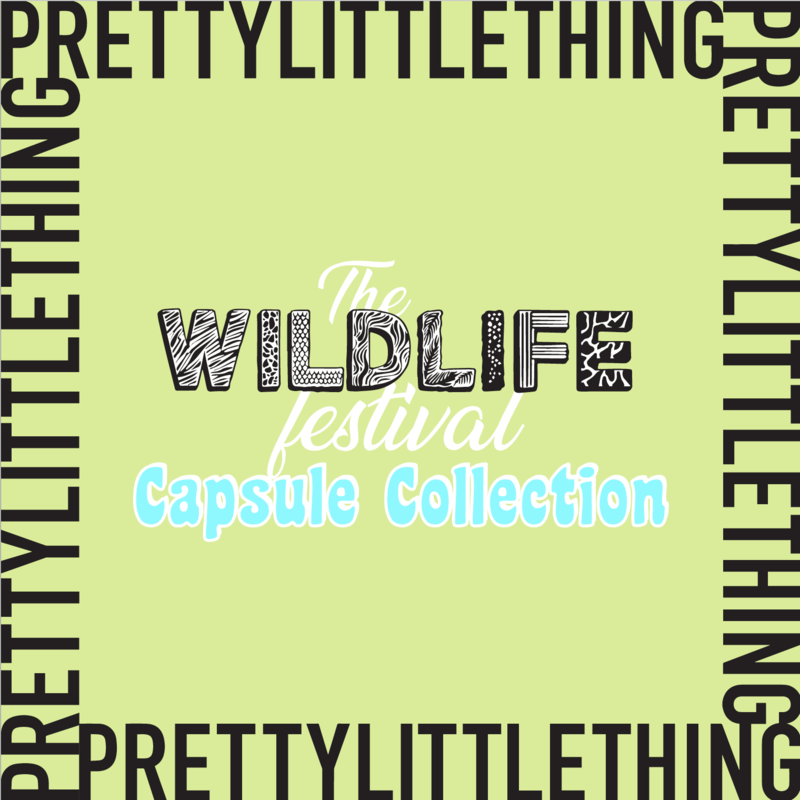 This collection would be launched and initially sold exclusively at Wildlife Festival. 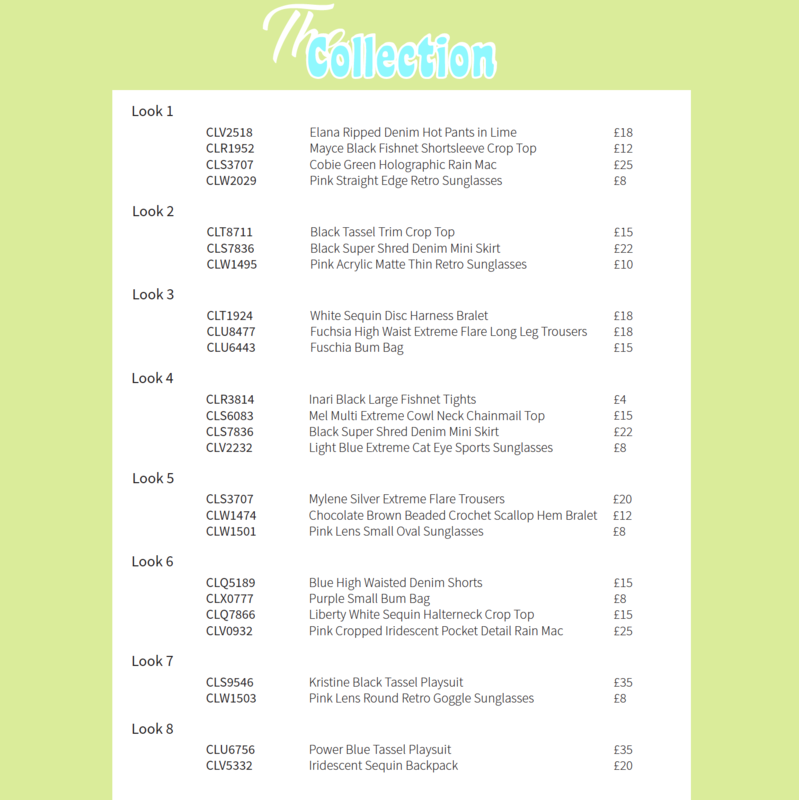 Customers would be able to visit the PLT activation at the festival, where they can browse and buy the collection. 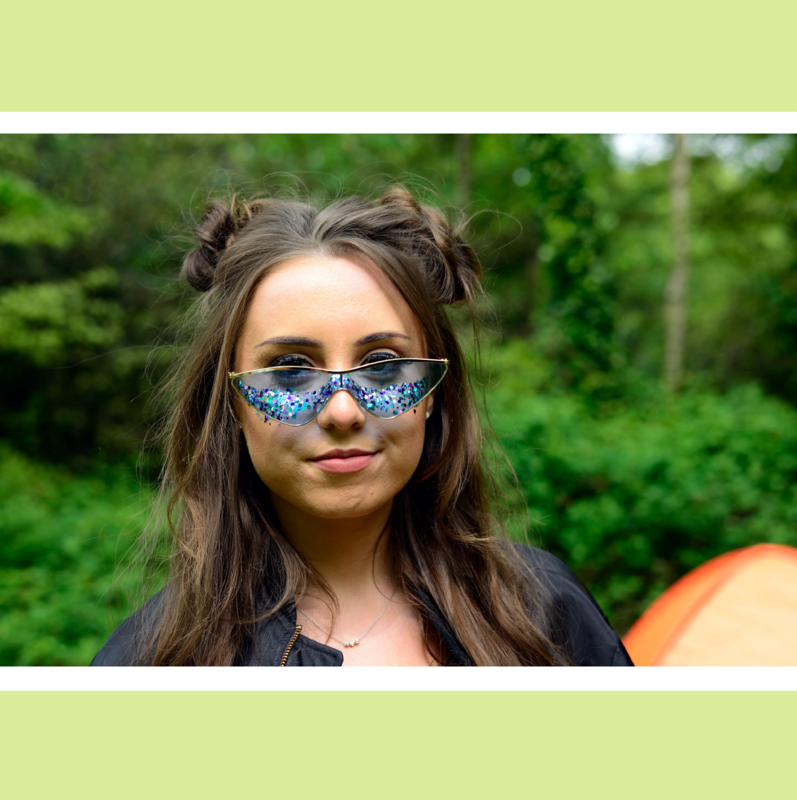 Three famous bloggers (Em Davies, Mika Francis and Carms London) would be there to meet customers and act as ‘personal shoppers’ to help them choose their new festival outfits. Dust & Dance would also be present to provide customers with glitter hair and makeup. This is illustrated by the concept art. 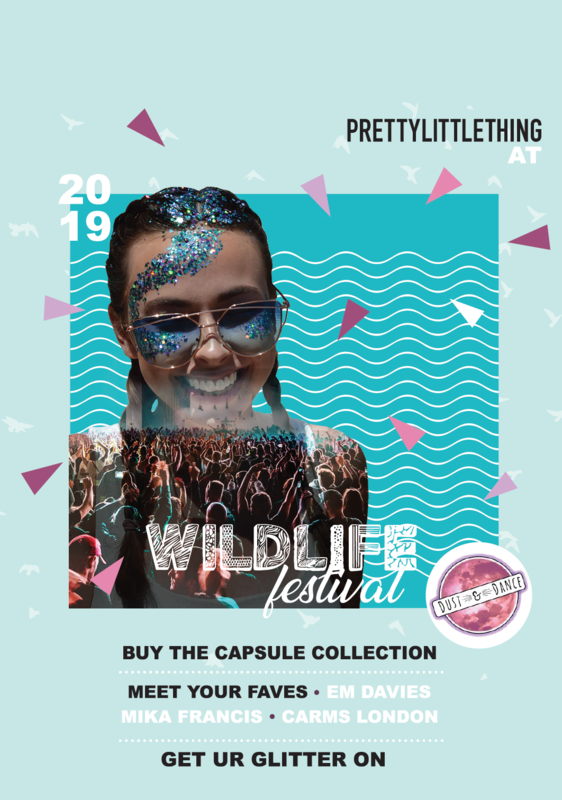 This activation would allow customers to create a positive emotional connection with the PLT brand, as they would have the opportunity to have a festival makeover, styled by their favourite bloggers. After the festival, the collection would then be made available online. The campaign would be promoted across the brand’s digital touchpoints including social media, website and email marketing. These three posters are an example of how the collection and festival activation could be promoted. In order to create my posters, I styled three models with Dust & Dance glitter makeup and photographed them. I then photoshopped these images with second-hand imagery of festivals to create a double exposure effect. I then placed these images into a poster design I had created, inspired by an image I found on Pinterest. I was particularly proud of this element of my creative campaign. As part of my Final Major Project at university, I produced an idea for a new creative marketing campaign for Pretty Little Thing. 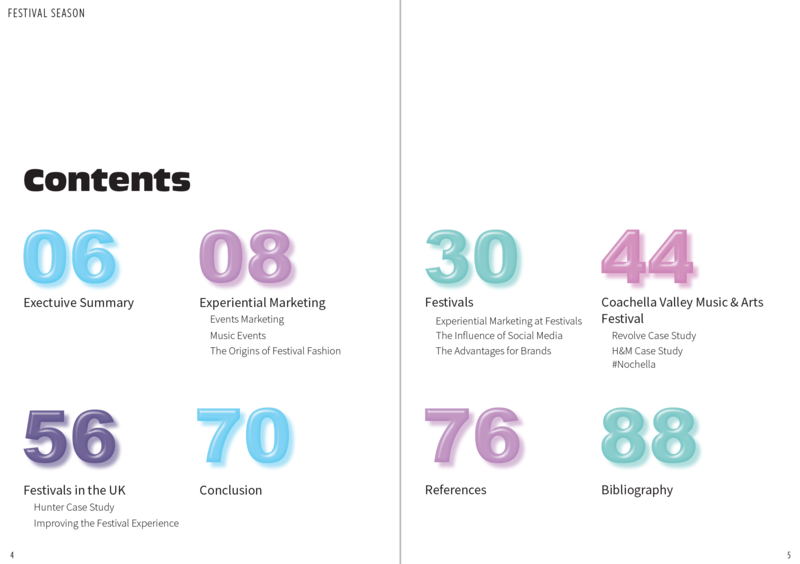 My campaign idea was supported by research undertaken in the Individual Project Report and draws on elements of experiential marketing at music festivals. I received a high first for this assignment. The core of my idea was a collaboration between Pretty Little Thing (PLT), glitter brand Dust & Dance and Wildlife Festival. The campaign will include a capsule collection of festival clothing and accessories. 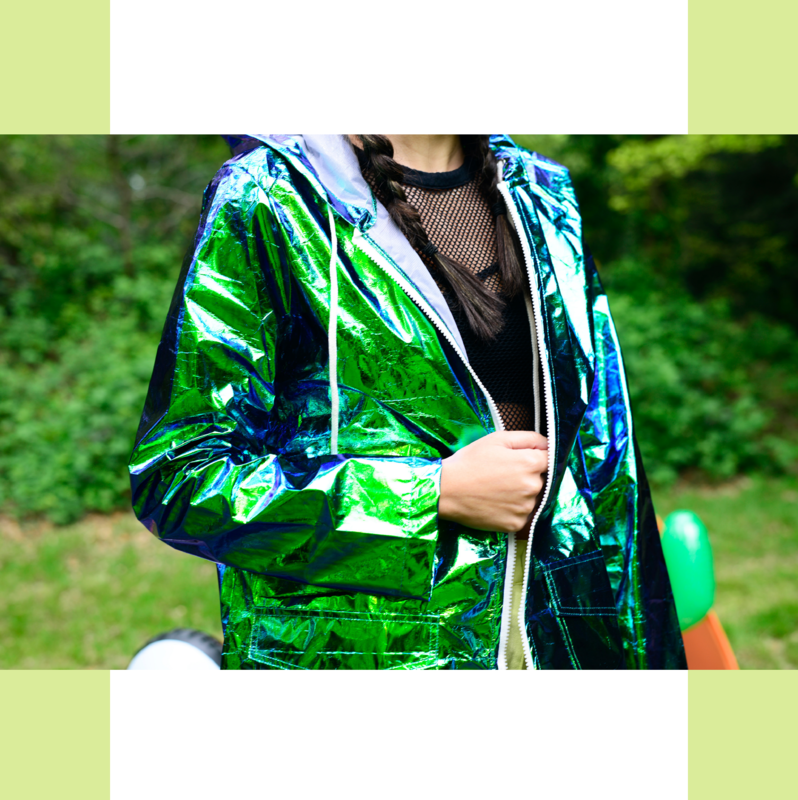 To demonstrate this, I created a large concertina lookbook (11.5in2) of images of products and outfits from the PLT website I felt would fit within the collection. 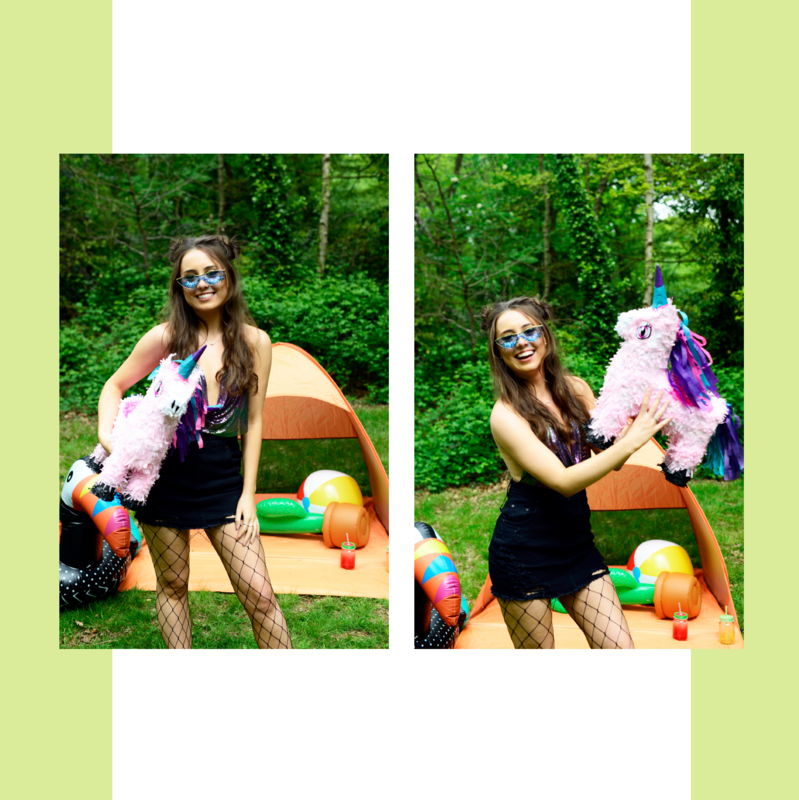 I styled and creatively directed a photoshoot on Southampton Common in order to capture my images; I was also photographer. 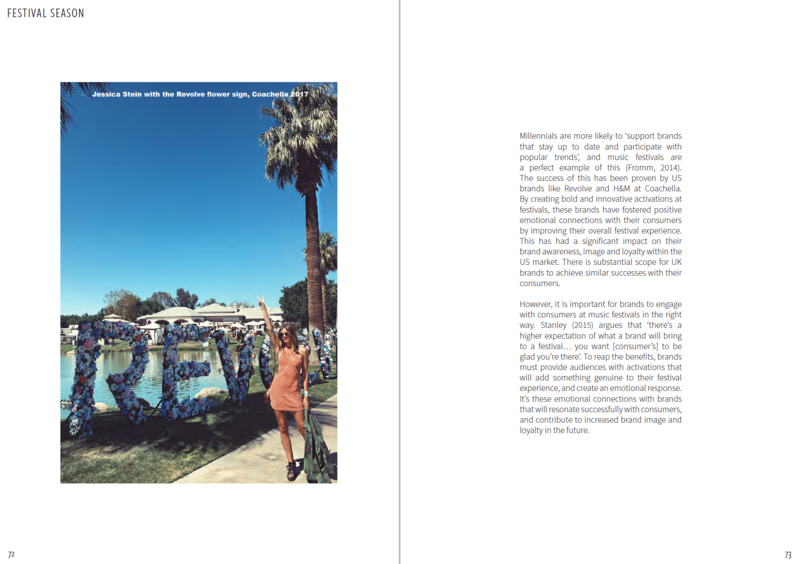 Selected pages from the lookbook can be seen below. This collection was designed to be launched and initially sold exclusively at Wildlife Festival. Customers would be able to visit the PLT activation at the festival, where they could browse and buy the collection. 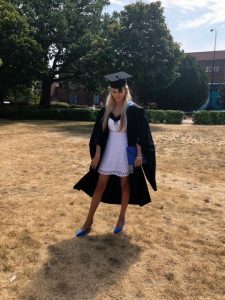 Three famous bloggers (Em Davies, Mika Francis and Carms London) would there to meet customers and act as ‘personal shoppers’ to help them choose their new festival outfits. Dust & Dance would also be present to provide customers with glitter hair and makeup. This is illustrated by the concept art. 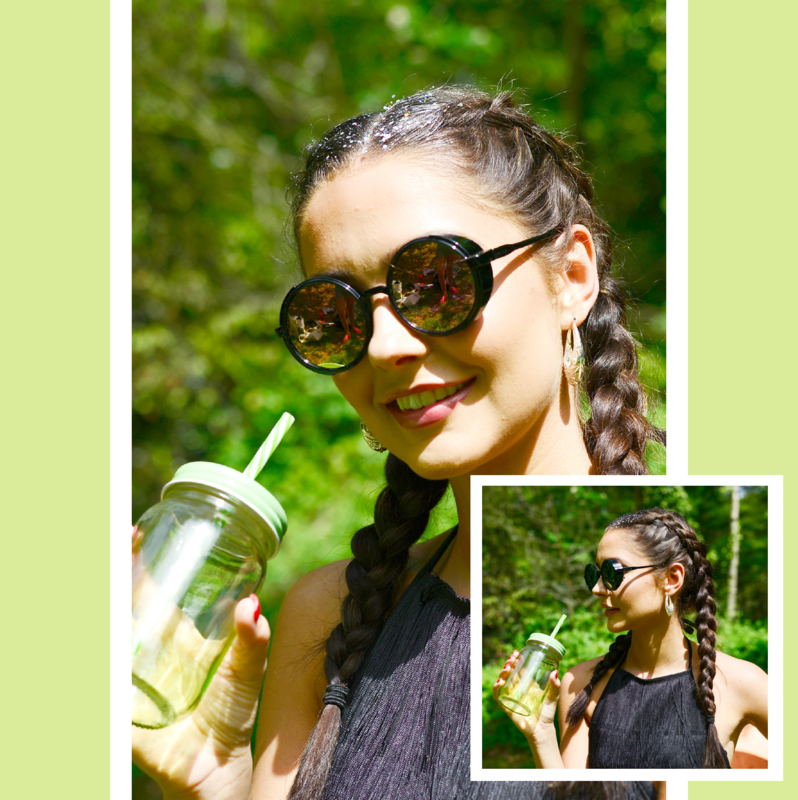 This activation would allow customers to create a positive emotional connection with the PLT brand, as they would have the opportunity to have a festival makeover, styled by their favourite bloggers. After the festival, the collection would then be made available online. The campaign would be promoted across the brand’s digital touchpoints including social media, website and email marketing. I made three posters as an example of how the collection and festival activation could be promoted. Brands like H&M, Sephora and Revolve have been capitalising on the opportunities created by music festivals like Coachella in the US. Can British brands create similar opportunities at UK festivals? 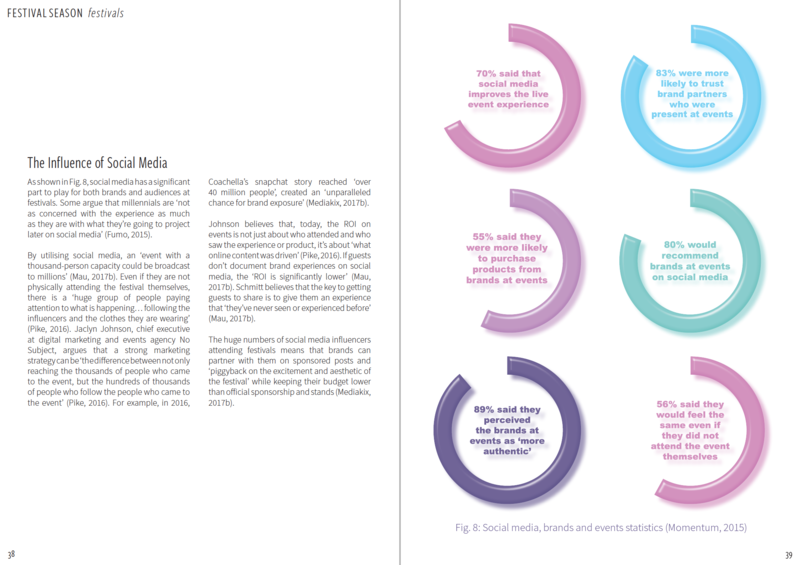 My essay investigated the shift away from traditional forms of marketing towards experiential marketing, and the increasing importance of creating brand experiences around a product for the millennial consumer. 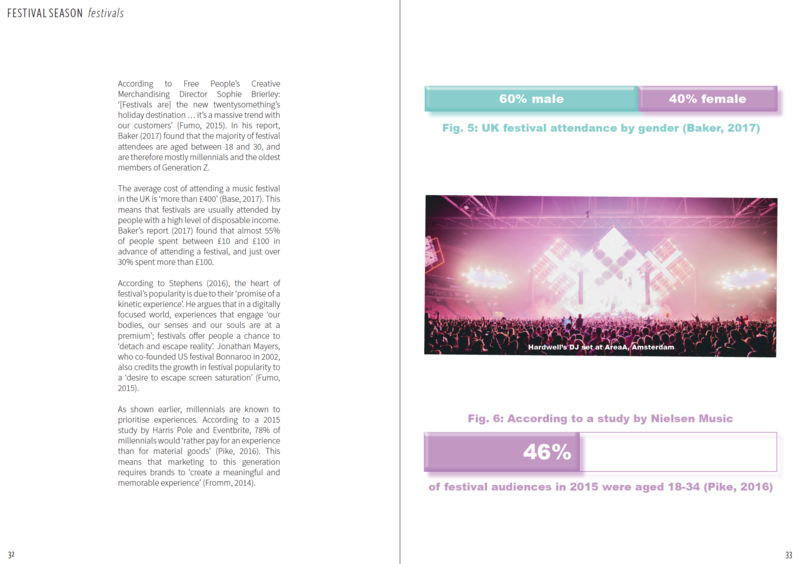 With this in mind, the report then explored the opportunities created by music festivals as a venue for experiential marketing to UK consumers. 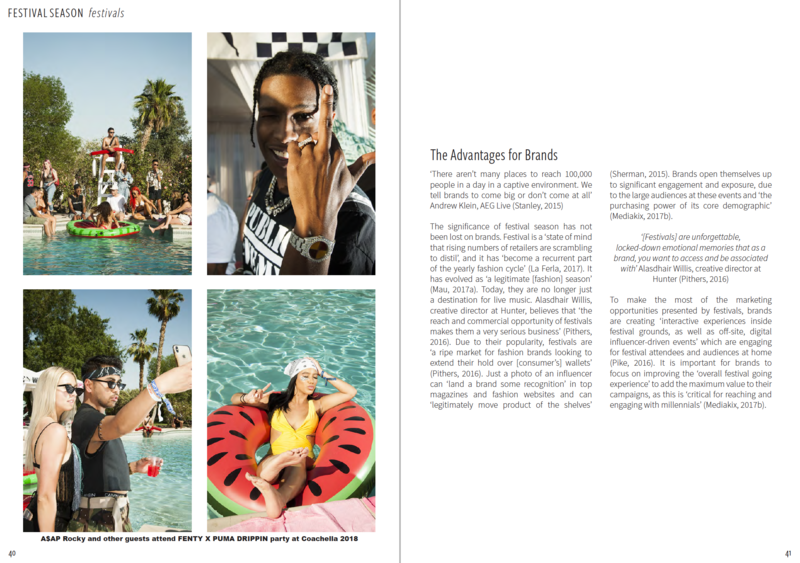 Events such as these are ripe for development by UK brands, as demonstrated by the huge success of brand activations at US festivals, most notably Coachella. 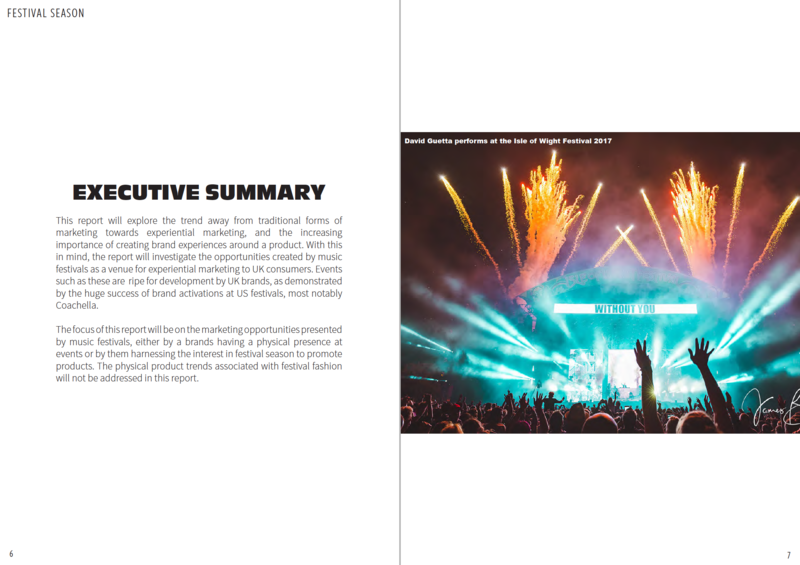 The focus of the report was on the marketing opportunities presented by music festivals, either by a brands having a physical presence at events or by them harnessing the interest in festival season to promote products. Selected pages from the essay can be seen below. 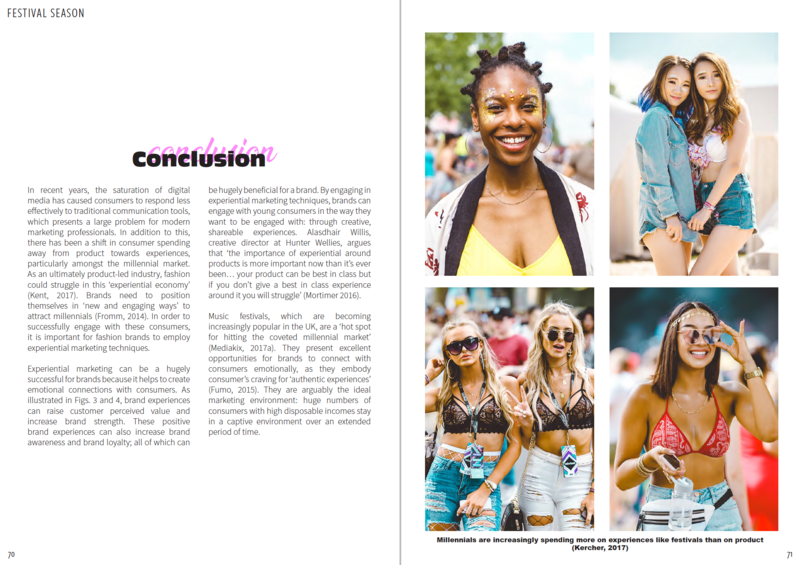 Alongside my Individual Project Report, I produced a creative campaign demonstrating my idea for a new creative marketing campaign for Pretty Little Thing that draws on elements of experiential marketing at music festivals explored in the report. 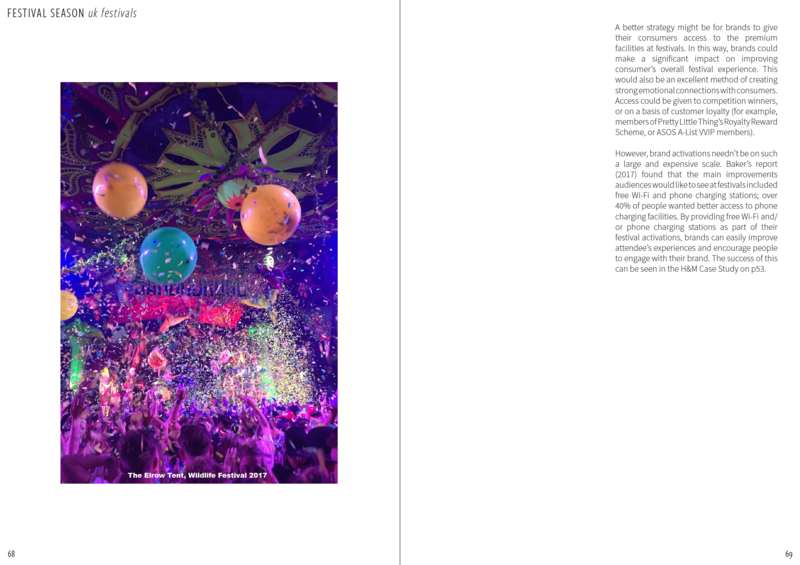 The core of my idea was a collaboration between Pretty Little Thing, glitter brand Dust & Dance and Wildlife Festival. 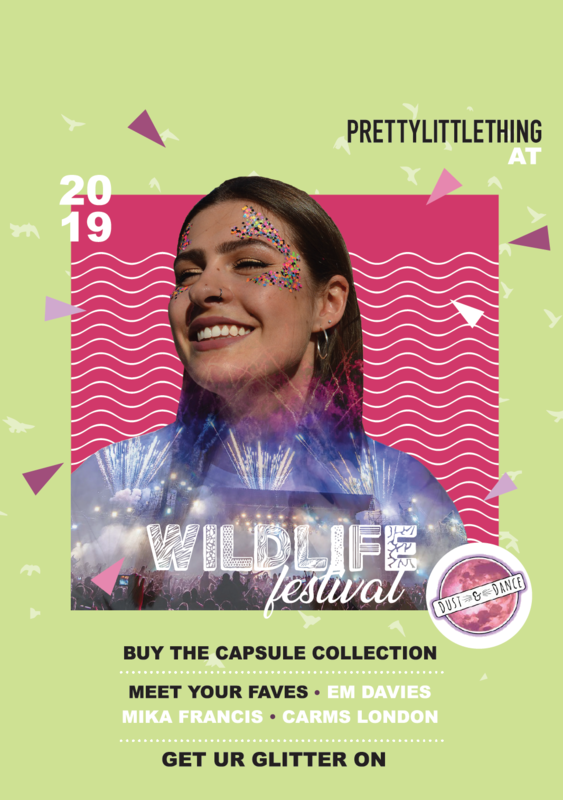 My creative campaign included a capsule collection of festival clothing and accessories, illustrated in a lookbook; concept art depicting the launch activation at Wildlife Festival and a series of posters to support promotion across the brand’s digital touchpoints. I received a high first for this assignment. 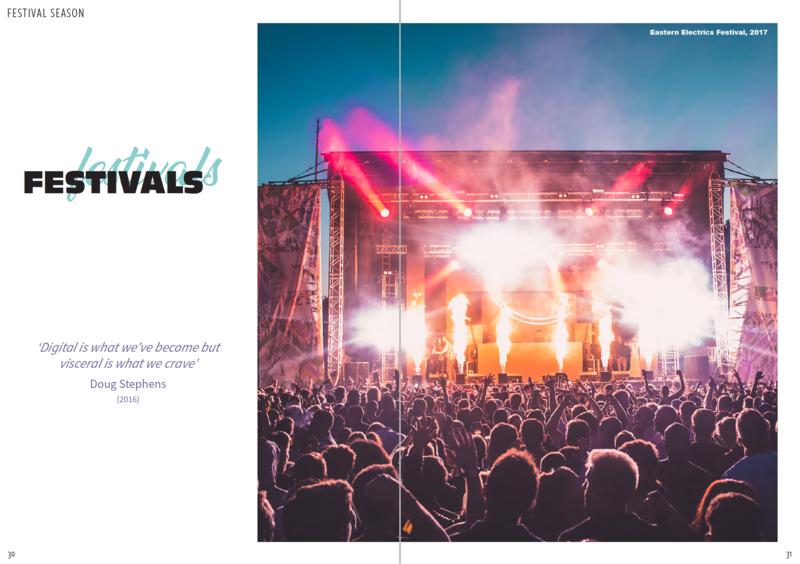 Although most of the report contained second-hand imagery, I used my own image of Wildlife Festival on page 68. 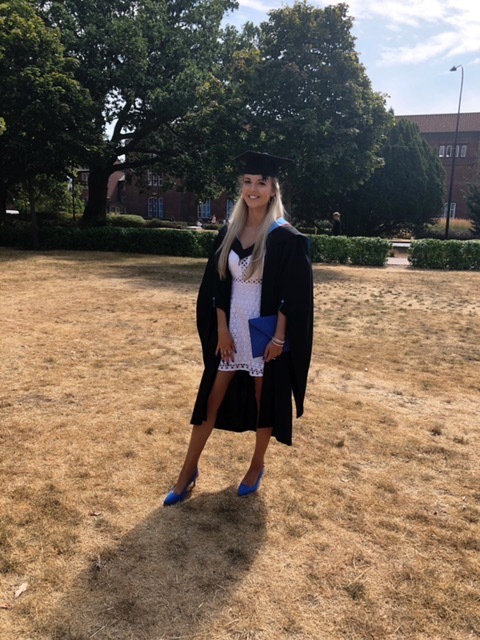 I graduated from Winchester School of Art (University of Southampton) with a First Class Honours degree in Fashion Marketing in July 2018. I am friendly, polite and considerate of others, qualities that allow me to work effectively in teams as well as independently. I am conscientious and diligent. I will fully apply myself to any task and never leave a job unfinished, and my versatility enables me to adapt quickly to new roles of all kinds. My curiosity and ambition mean that I am always willing to step up to a challenge and that I am driven to learn new skills to expand my abilities as a fashion professional.